New York City has a culinary reputation that’s unsurpassed so my expectations were high when planning our family trip there last spring. 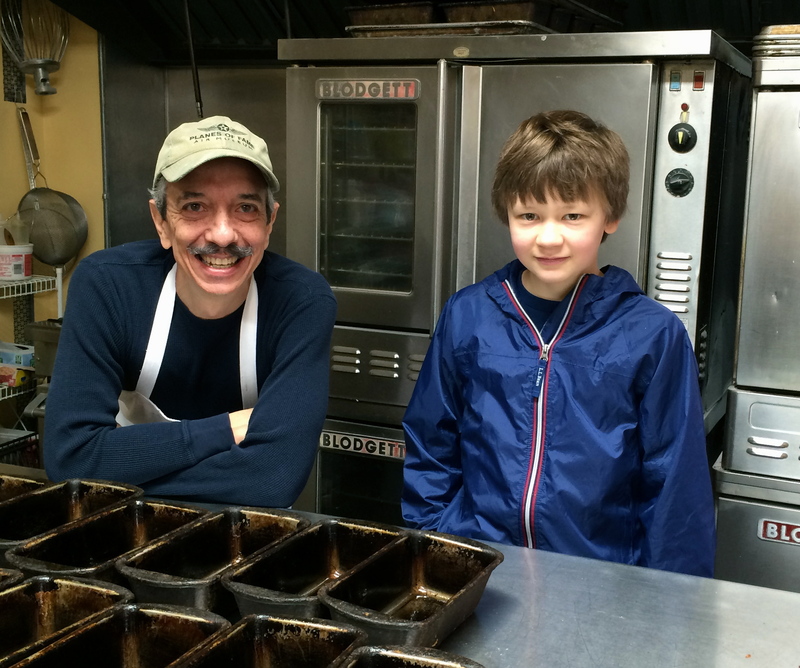 Finding celiac-safe, peanut-free food for my son can be a challenge. Add my 10+ food intolerances and getting a safe meal is no easy task! With a thorough look at reviews, blog posts and some Googling, too, we found success. If you’re planning a trip to the Big Apple, read on about our experiences and check out the links below. With some forethought, you’ll find terrific dining to meet your needs, too. We had two criteria for choosing restaurants: 1) It had to meet our dietary needs, and 2) It had to fit in our itinerary, geographically. Some great restaurants and bakeries were skipped because of location but because I vetted them, they’re mentioned at the bottom of this post. Almost everything on the menu is gluten-free. Our best dining experience was at Bistango, located in the Kimberly Hotel just blocks away from the Top of the Rock. Bistango is a gluten-free paradise and very allergen-aware! We dined there for lunch and EVERYTHING on the menu was available gluten-free. This includes flat bread, sausage and meatballs — which are usually off-limits to celiac folks. And safe practices? They get it! 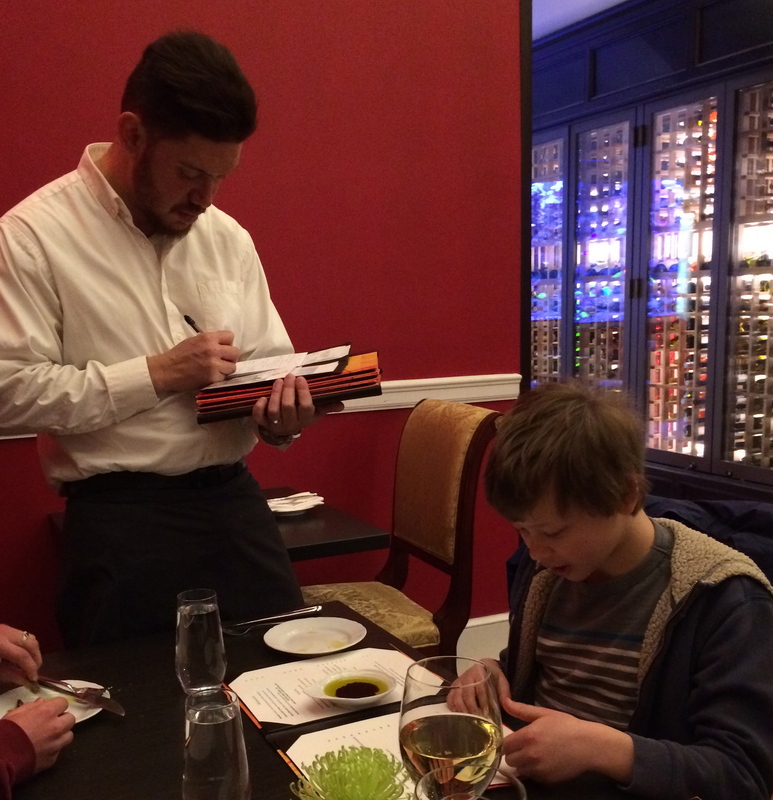 How often can my son open a menu and order almost anything? We were beyond thrilled. We value the fact that Bistango serves higher quality meats and organic, seasonal produce. While this restaurant was pricey, the service was outstanding. Our meals–gluten-free and not–were delicious! Everyone walked away happy and full. A bonus: Parents of restless children will be glad to see a huge aquarium in the lobby with colorful fish to entertain little ones while they wait. Second on our list of favorites was Blue Smoke. When researching gluten-free, peanut-free dining, Italian restaurants come up again and again. 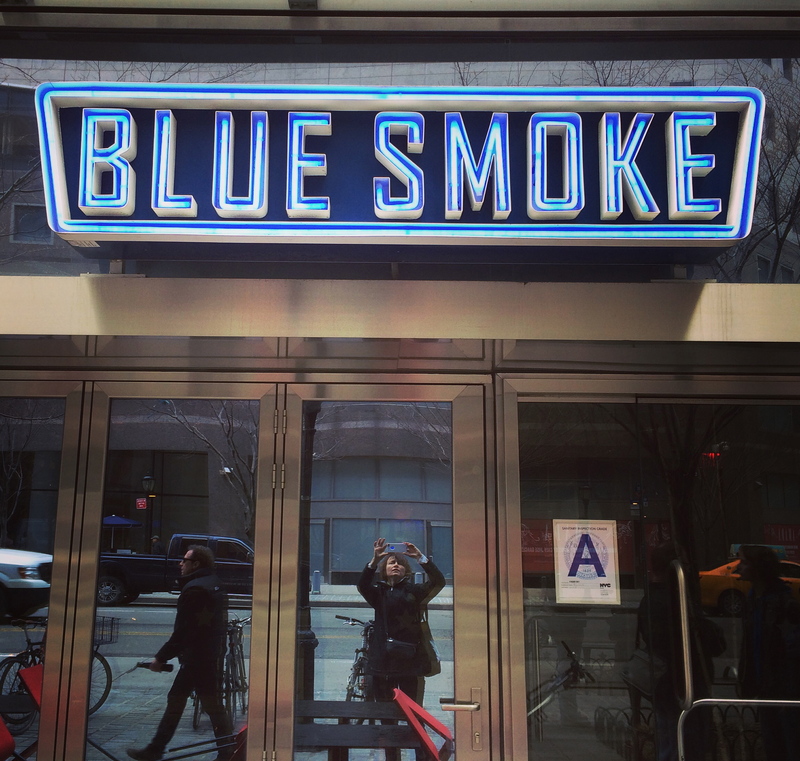 Blue Smoke grabbed our attention because of their unique cuisine. They bill themselves as a casual restaurant combining the soulful cuisine of the American South with fine dining. The location fit into our itinerary well as it’s just blocks away from the 9/11 Memorial. We were given an allergy menu, which made me feel ridiculously happy. To me it says: special dietary needs welcomed! They do work with peanuts here but confidently can provide a safe meal. As a precaution, we dined early before the crowds. The attentive wait staff informed us that the line was cleaned prior to preparing my son’s meal. My son loved the Rhapsody in ‘Cue, a dish featuring three different barbecued meats, and the rest of us enjoyed our meals as well. Noting our search for outlets, the staff charged our mobile phones while we dined. What more could a weary tourist ask for? We had a fabulous experience. In order to maximize time at museums, we dined in a couple of museum cafes. After dining at the Chicago Institute of Art last fall, my mind was opened to how wonderful these cafes can be. The Wright at the Guggenheim is a well-designed little restaurant with a very limited but interesting gourmet menu. Luckily, my boys are adventurous eaters so we decided to give it a try. I had spoken with the staff and felt satisfied that they could provide a safe meal. My son enjoyed his food but the communication involved was definitely laborious. It started getting quite busy once we were seated so that was a complicating factor. The knowledgable waiter that greeted us did not wait on our table. If you are considering this cafe, call ahead to sort out which dishes will be safe options and ask to be waited on by a very knowledgable server. The Museum of Modern Art (MOMA) is the other museum that provided an allergen-friendly meal and this was a much better experience. We had contacted their food services department ahead of time and they were welcoming, enthusiastic and thorough in their communication. Our contact person, Valery, was very helpful! 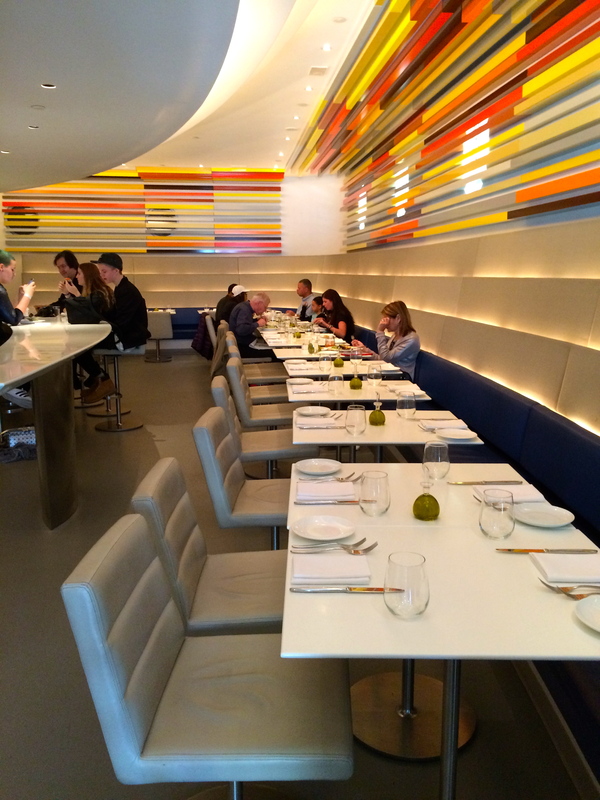 There is one restaurant and two cafes to dine in at MOMA. The Modern has the largest menu with several interesting options that could accommodate my son. It’s pricey though! While MOMA doesn’t have gluten-free pasta, they do provide a whole grain gluten-free, nut-free bread from a bakery in Brooklyn called Everybody Eats. The chef informed me that desserts are made in-house and described peanut-free, gluten-free options that sounded delectable! Any dining establishment that offers allergen-friendly desserts (beyond sorbet) wins a special place in my heart. I’m all for a well-chosen splurge but we concluded that this one will have to wait for a return trip to NYC. We dined at the MOMA’s more affordable Cafe 2 instead. It has a smaller menu and my son’s choices were limited but the food was very good! They also provide that wonderful bread from Everybody Eats. My son devoured it! We were able to make a reservation (which isn’t usually the practice here) in order to be guided through the options by a knowledgable staff member. They really took care of us and we are grateful that the MOMA staff is so sensitive to people with special diets! Nizza, an Italian restaurant in the theater district, came up repeatedly in my search for a celiac-friendly, allergen-friendly place to dine. The prices are quite reasonable as well. After shifting our reservation three times in order to accommodate our large group, we ended up dining there when it was mobbed. Not ideal. My son was eager to have pizza. While he is open to trying new foods, he did not enjoy the chickpea crust at all. He ended up ordering GF bread with cheese on top. Their gluten-free menu is terrific though, with more than one type of pasta (corn-based), focaccia bread and several choices of entrees to choose from. 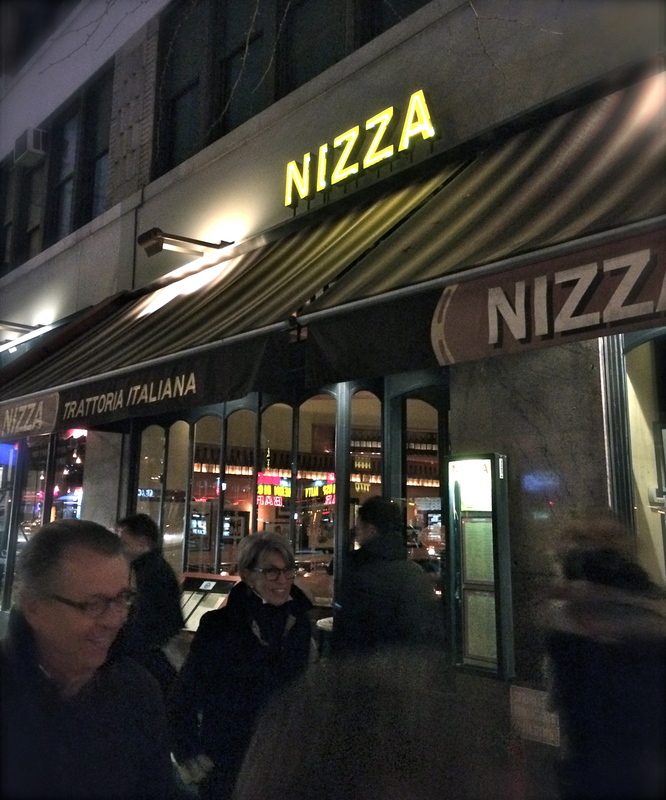 While they accommodated my son’s needs well, our group concluded that the food at Nizza was good but not great. Perhaps it was an off night. I’d definitely go back and try it again. Senza Gluten, is a 100% gluten-free Italian restaurant with fantastic reviews. How often do you come across that? It’s highly recommended by Erin Smith of Gluten-Free Globetrotter. The Little Beet Table is a celiac friendly and food allergy friendly restaurant with an interesting, fresh and healthy menu! If you’re eating on the run, their sister eatery, The Little Beet, may work well for your itinerary. They’re opening new locations so check out their website. Early this year, we came across an article in Bon Appetit magazine featuring a skillful chef from Del Posto, a four-star restaurant, who welcomes the challenge of food allergies. If you are celebrating a special occasion and ready for a big splurge, this is your place. I’ll bet the desserts would be fabulous! I think my husband and I will return — sans children. Crepes du Nord is a restaurant highly recommended by Polina of T1dandgf. It’s a good thing my family didn’t spot this place. They might have ditched me with my egg and dairy intolerances to indulge in a delicious French meal that can accommodate GF diners. There aren’t any peanuts on the menu and a phone call verified that those with a peanut allergy can safely dine here. On the next trip, they’ll dine there and I’ll go off and find an interesting vegan restaurant. Dos Caminos gets great reviews from AllergyEats and is recommended by the Nut-free Ninja as well. It can be challenging to find a Mexican restaurant that can manage a nut allergy! The staff is knowledgable about where gluten lurks and can provide a safe meal, per my phone conversation. Forget the chips, though; they go into a shared fryer that isn’t gluten-free. If that’s not a deal breaker for you, give it a try! We visited a bakery called Everybody Eats as it was just blocks from our home base in Brooklyn. This gluten-free, nut-free bakery supplies breads for many area restaurants including Bistango, MOMA, and Nizza and they ship to US residences as well. They don’t add legumes or soy to their products and many items are dairy-free as well. There was no store front shop but co-owner Pedro Arroba was welcoming and kindly offered us samples and showed us their kitchen. We purchased the multi-grain bread and chocolate chip cookies which were both delicious! What a rare treat to indulge in sweets that are both peanut allergy friendly and celiac friendly! NYC has several gluten-free bakeries and two of them fit the bill for peanut allergies as well. Erin McKenna’s Bakery is a 100% gluten-free vegan bakery that is soy-free as well. I like the fact that they use only natural sweeteners, sparingly. They do not bake with tree nuts or peanuts but their Bob’s Red Mill flours are processed with some tree nuts. It appears safe for those with peanut allergies. Jennifer’s Way Bakery is also exclusively gluten-free and free of egg, dairy, soy, corn, refined sugars and peanuts. Their commercial facility is completely nut-free. Talk about allergy-friendly! If you give either of these terrific options a try, let me know how they were! We’ll live vicariously through you until our next visit. Erin Smith of the website Gluten Free Globetrotter is THE celiac dining expert for NYC. Her up-to-date website, dining listings and reviews are an asset as you plan celiac-friendly dining. Nut Free Ninja has a very nice post about dining in NYC with nut allergies. This also makes a great starting point for nut allergic diners. If the process of making dining arrangements is too overwhelming, you might consider hiring Sloane Miller of Allergic Girl Resources as she provides a food allergy / celiac concierge service for dining in NYC. Dining apps are an allergic diner’s best friend. I use Allergy Eats, YoDish App and Find Me Gluten Free to find reviews that will meet our needs. I only add reviews to apps devoted to food allergies & gluten intolerance; we need to support these platforms. Please add reviews! If you don’t have much time for research, check out AllergyEats “Most Recommended” listing of allergen-friendly dining in NYC. They have a nice inventory of reviews. 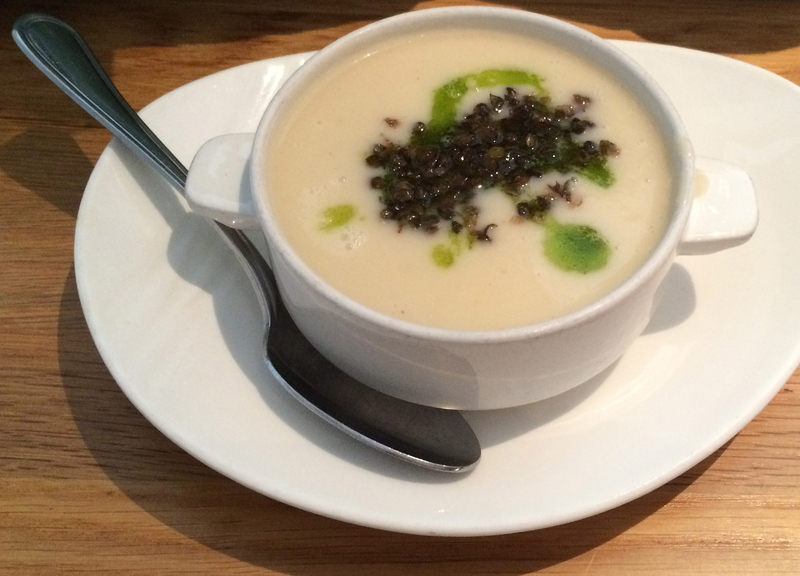 Have you found celiac-friendly, nut-free dining in New York City? Leave a comment below. Bon Appetit! Thank you so much! I’m going to keep your guide in mind when I return!